Snapshot: This fall, Hampton Roads will be holding the country's first major flood mapping exercise with commercial media partners. 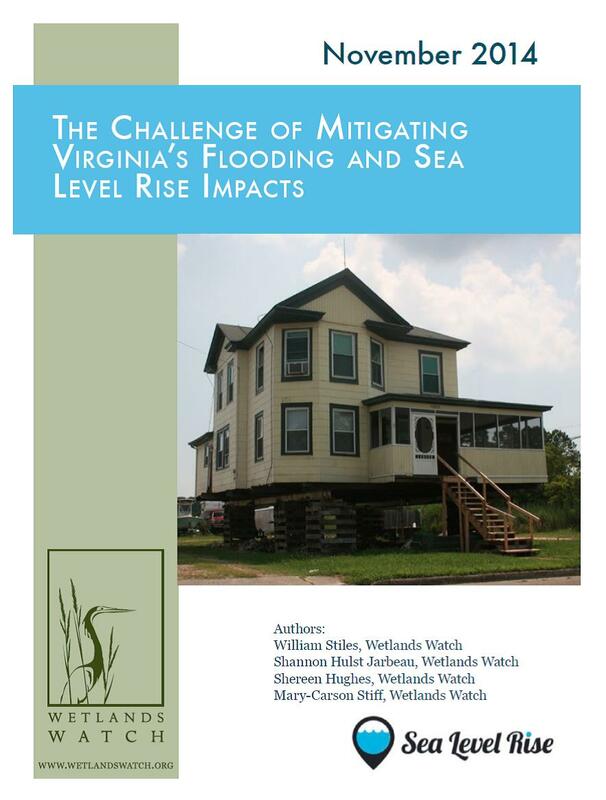 The Wetlands Watch Phone app, Sea Level Rise, will be the tool used in this November 5, 2017, event which we hope to map across the entire SE Virginia region. Backstory: Every fall, we get higher full and new moon tides - as much as 2 feet higher - because the moon is closer to the earth. These Perigean High Tides are often nicknamed "King Tides" and in low lying regions like ours they cause increased nuisance flooding. This year, the highest tide happens on November 5, 2017, and we have a unique event planned for that day: a first-ever public, regional flood mapping event using our Sea Level Rise flooding app. Making this event even more unique is its sponsorship by our two regional newspapers - the Virginian Pilot and the Daily Press - as well as our regional NPR station, WHRO, and a regional commercial TV station, WVEC. 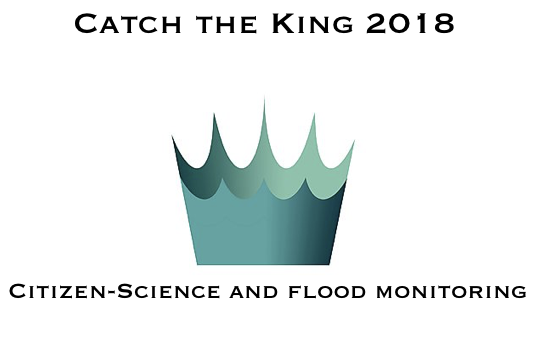 The Sea Level Rise app was developed using a blue moon fund grant in 2014, in partnership with Concursive, a Norfolk-based technology company. The app was further refined with the help of the Cousteau National Estuarine Research Reserve in New Jersey who supported the development of V 2.0.. The two images above preview what can be produced. The image to the left above displays an outline of the flooding we experienced during the September, 2015 King Tide. The mapping was done with our phone app. The app data was exported to our friends at the Virginia Institute of Marine Science (VIMS) to help them with their flooding models. Dr. Derek Loftis at VIMS has been collaborating with us on this work. The image to the right above shows those same 2015 data points that Dr. Loftis laid on top of a VIMS map showing the expected inundation on November 5, 2017, the highest high tide of 2017. These VIMS maps will help us target our volunteers to map that day. We hope to cover all the cities and counties that make up Hampton Roads. You can get the full map and storyboard from VIMS/Dr.Loftis HERE. Stay tuned for more updates - we started with a soft launch on August 14, test events will be held through Sept and Oct, leading up to the November 5 event. For more information from the Virginian Pilot, their event website has info and signup forms. With all the talk of budget cuts in Washington, including cuts to FEMA disaster programs, states and localities along the shore need to find new ways of dealing with essential flooding fixes. We documented the need for new revenue streams a few years ago in our report on the backlog in flooding mitigation funding. We found that in one Virginia city, if you were at ten end of the waiting list, you'd wait 188 years for someone to get around to helping you fix your house. We worked with State Senator Lynwood Lewis who sponsored legislation to create a state revolving loan fund for property owners to use. It was patterned after a similar fund in Connecticut, ShoreUP CT. The Virginia Shoreline Resiliency Fund became law in 2016 but there was no funding made available. Next step is to get funding for the revolving loan fund. Now another state - Rhode Island - is considering this approach to funding coastal protection. Legislation introduced there would create the "Rhode Island Coastal Adaptation Trust Fund," to provide money to fix coastal infrastructure at risk from sea level rise and flooding. That Fund would get money from a 5 cent/barrel surcharge on petroleum products. We will be watching that legislation in coming months as all of us along America's coastline struggle to adapt. Phone App Upgrade Being Tested! We've been working on crowdsourcing flood information for a few years using our novel smart phone app. We just got a grant to upgrade it to V2.0 - making it much easier for users.